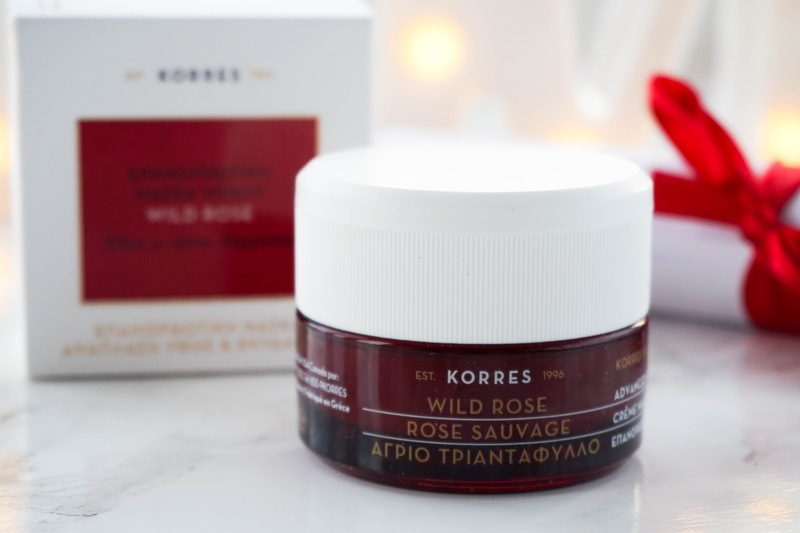 I've never tried Korres as a brand before until recently when I was kindly sent their Wild Rose Advanced Repair Sleeping Facial*, for their #overnightproject. 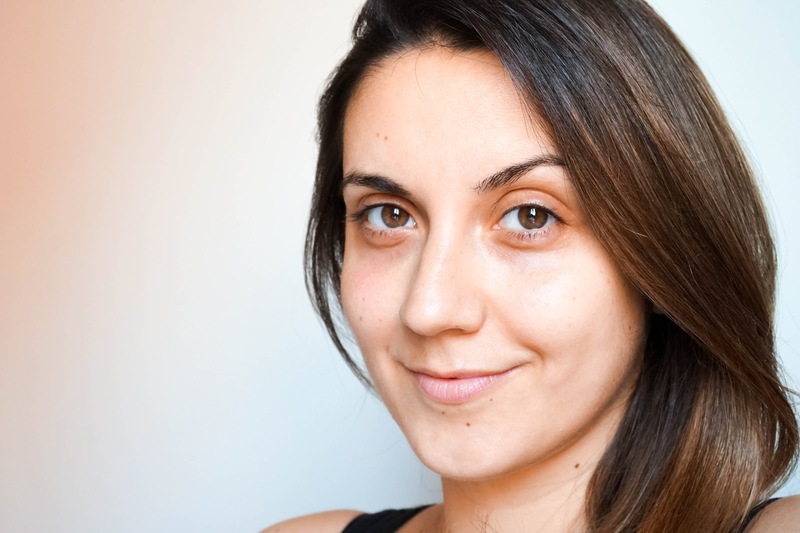 This project basically challenged me to use this skincare product and share my thoughts on how my skin felt the next day. Well I am definitely not one to share a skincare experience here on the blog, until I've used the product for at least a couple of weeks. Since I've now been using the cream all October long, I wanted to finally let you know how I got on and how my skin is feeling overall. Korres was founded in 1996 in Athens by George and Lena Korres. They focused on using a deep well of knowledge gained from the family and their own work in the homeopathic field. The brand have since created a variety of natural skin care, bath and body products. For this award-winning brand it's all about using as many natural ingredients as possible and leaving out anything that our skin doesn't need, so their products are free from mineral oils, parabens and phthalates. 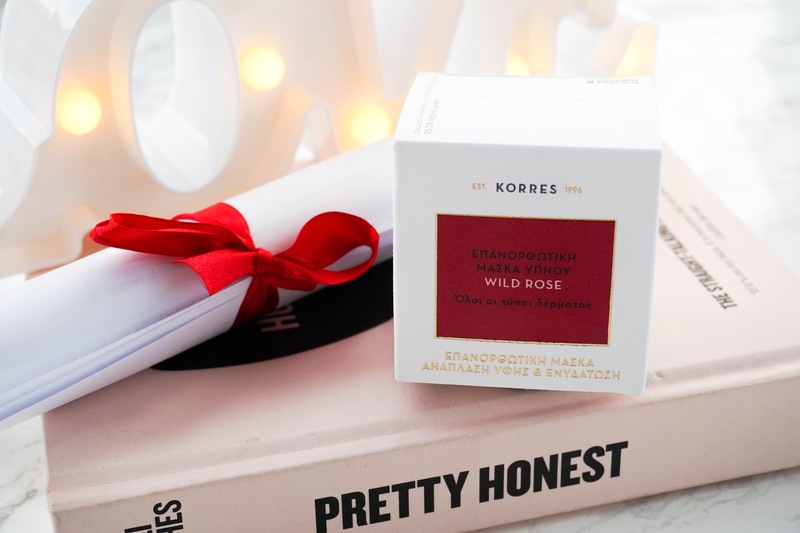 The main ingredient in the Wild Rose Advanced Repair Sleeping Facial is Wild Rose Oil, which is noted for a high Vitamin C content so it's fantastic for repairing and brightening the skin. It is also rich in linoleic and linolenic acid, which is great for moisturising and healing the skin. The cream is also boosted with Hyaluronic Acid for softer, smoother and more radiant skin. It has a velvety texture that melts into skin pretty much instantly so I have actually been making good use of it during the day also, as makeup glides on evenly. There is a slight hint of rose scent to this, which isn't overpowering at all and quite a pleasure to use. A small amount is all you need after cleansing the skin for soft and smooth results. After a whole month of putting this to good use, my skin is feeling plumed, radiant and nourished. What I love most is that it contains 95% natural content and that the formula is free from any nasties such as silicones, parabens or synthetic ingredients. Even though the weather took a turn towards a much colder temperature in the past couple of weeks, my skin is definitely not seeing any drastic changes like it usually would at this point. I have yet to see a single dry patch or any kind of flaky skin, and I truly believe it's down to this little pot of cream. In fact I'm so impressed with Korres as a brand that I am already making a list of skincare products to add to my routine over the next couple of weeks. 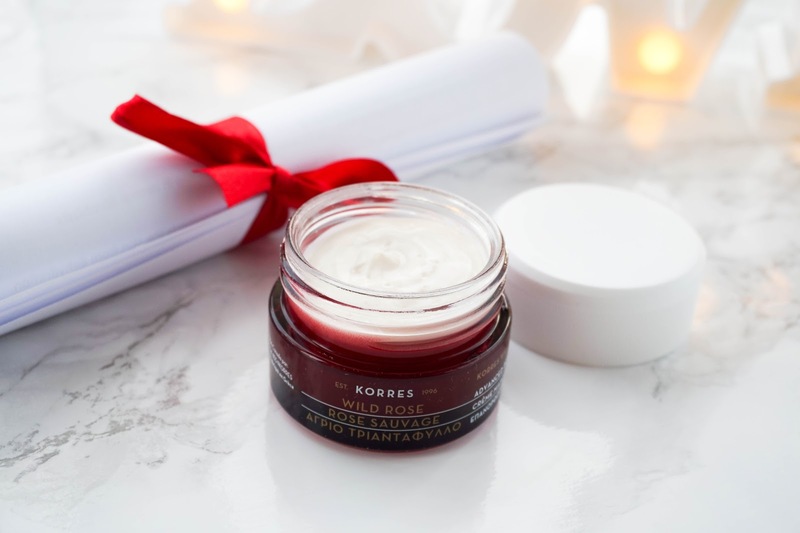 Have you tried anything from the Korres beauty range before? What are your thoughts on the Wild Rose Advanced Repair Sleeping Facial?